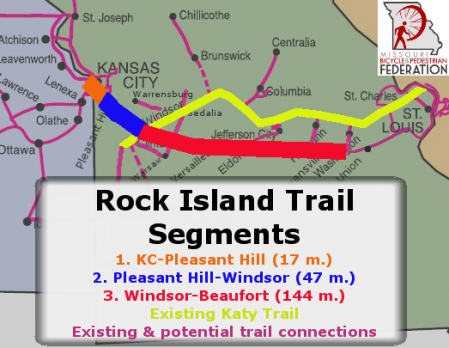 Missouri State Parks is accepting comments on the future of the 144-segment of the Rock Island Trail (red section) through November 30th. Your comments will help determine the future of this section! 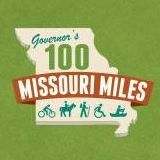 Missouri State Parks is deciding now whether or not to accept the 144-mile trail corridor - or perhaps to break it up into pieces or abandon portions of it or all of it. Supporters like you have submitted thousands of supportive comments in the past, but this is now State Parks' official public comment period in for making their decision about whether or not to preserve this important trail corridor for the future. #1 most important comment: You strongly support the Rock Island Trail and urge State Parks to accept the corridor and preserve it complete and intact for the future. Above all, the entire corridor must be preserved whole, complete, and intact for the future. This is one for our children and grandchildren. Right now is our ONE CHANCE to preserve the corridor intact and State Parks is by far the best agency to do that. State Parks should accept and manage the corridor--but should look primarily to outside funding and resources to build and develop the trail. No one is expecting State Parks to lead the way in covering the expense of trail building, when their budget is already stretched to the limit. Many other funding sources are available and should be used to the maximum. Given State Parks' current budget pressures, State Parks should be making its current decision based on: What is the MINIMUM investment needed from State Parks in order to preserve the entire corridor now. State Parks can provide that level of investment; a combination of local, private, and grant funds can fill in the rest over time. The trail doesn't need to be built to "Cadillac" levels. It is OK to begin with a basic level of service for the trail and work for higher, more expensive levels if and as funding becomes available over time. It is OK to develop the trail section-by-section over time. Open the easier and less expensive portions as soon as possible, but save the more difficult and expensive sections for later as funding is available. This might take decades--that is OK! State Parks seems concerned that if they accept the trail corridor, citizens will expect the trail to be completed very quickly, to the highest possible quality, and solely from State Parks funding. So those suggested comments are to help State Parks officials understand that citizens will accept a corridor built over time, to varying standards as funding permits, and with major emphasis on outside funding sources. Better those options than losing the corridor altogether--or breaking the corridor up and losing the chance for a major statewide trail connection forever! 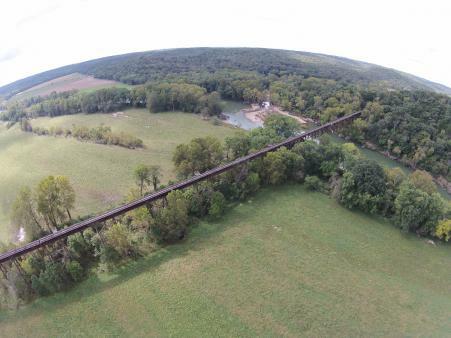 More detail & info about the 144-mile Rock Island Trail corridor--what is it, where is it, why is it an issue now? Thank you--when you speak up in support of bicycling, walking, and trails in Missouri, it really does make a difference!